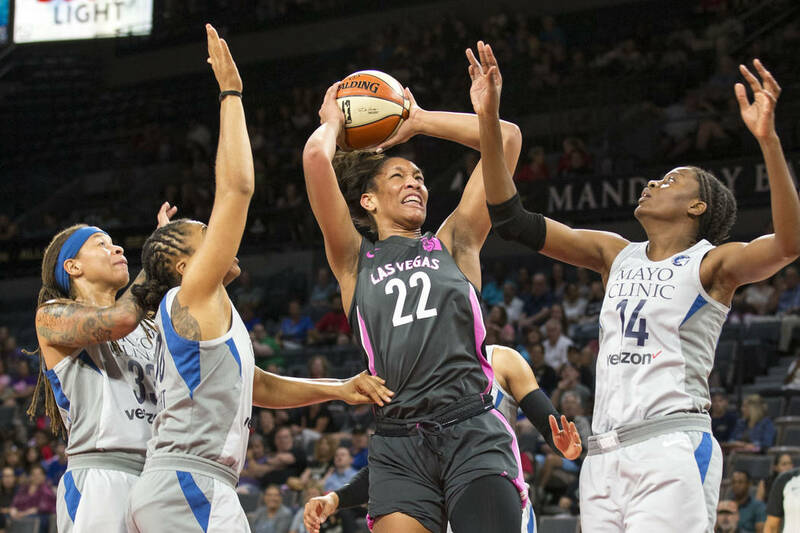 The Aces lost their fifth straight game — 89-73 to the defending WNBA champion Minnesota Lynx — and remain 2½ games behind the Dallas Wings for the final playoff spot with four games left. The travel fiasco is finally over. 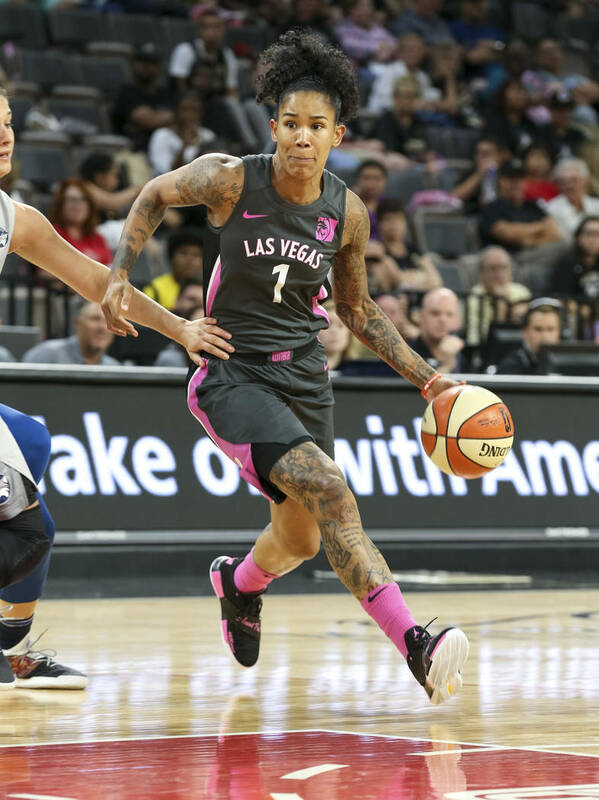 It ended for the Aces with a flight back to Las Vegas on Wednesday. The losing streak isn’t, though. 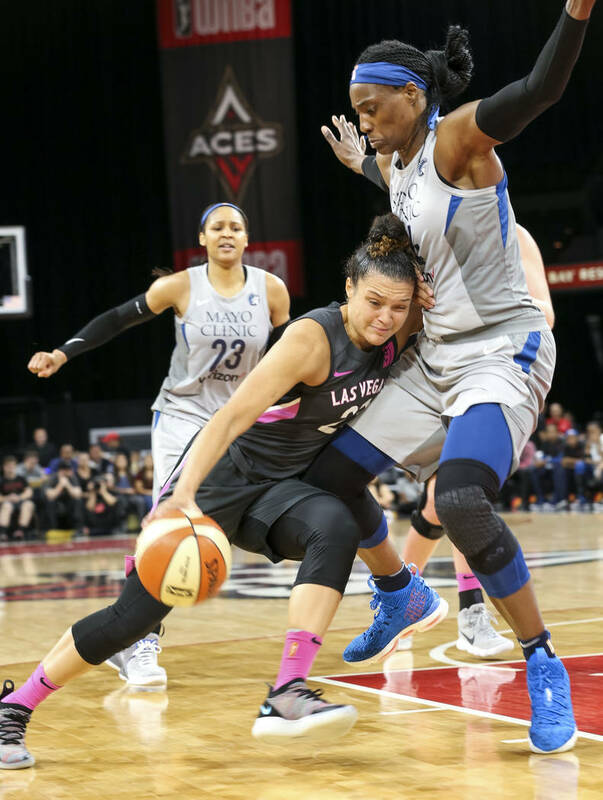 The Aces lost their fifth straight game — 89-73 to the defending WNBA champion Minnesota Lynx on Thursday night at Mandalay Bay Events Center — and remain 2½ games behind the Dallas Wings (14-15) for the eighth and final playoff spot with four games left. 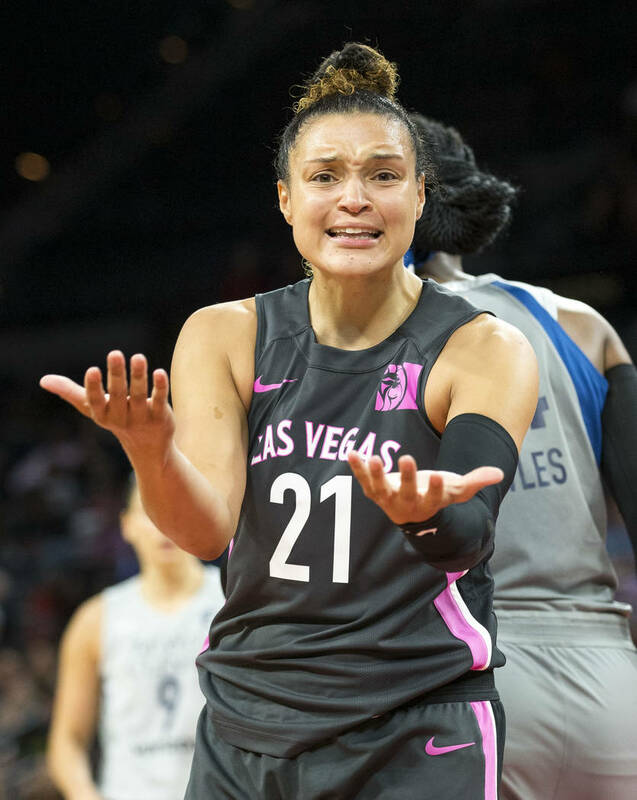 Las Vegas (12-18) hasn’t won since July 22. 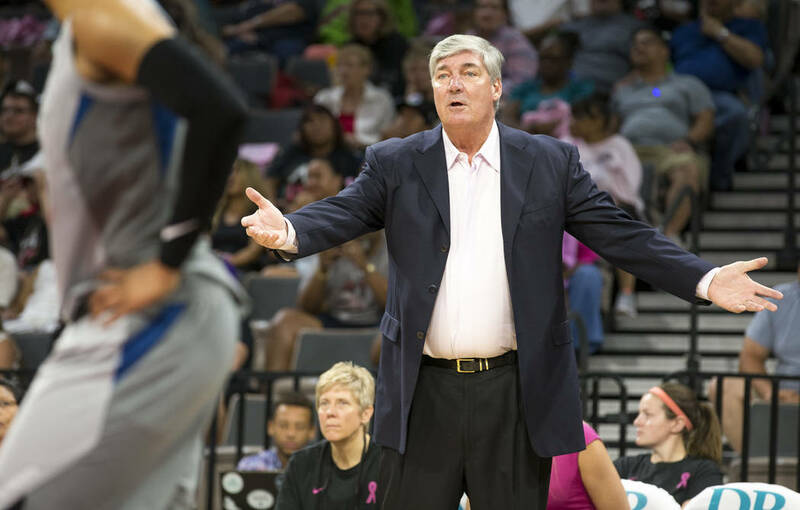 Still, Aces coach Bill Laimbeer is eyeing a 4-0 finish. His team will have to play better than it did Thursday to achieve that. 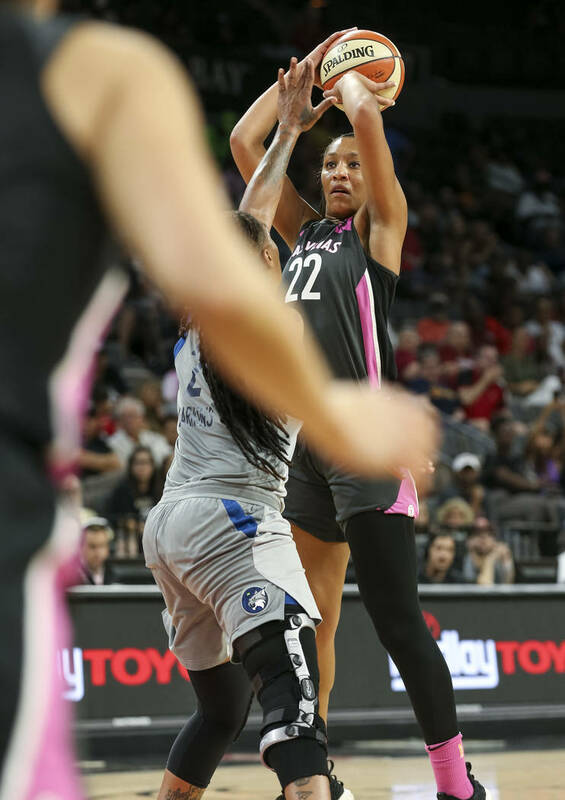 The Aces led 11-4 behind the stellar first-quarter play of Tamera Young and Carolyn Swords. 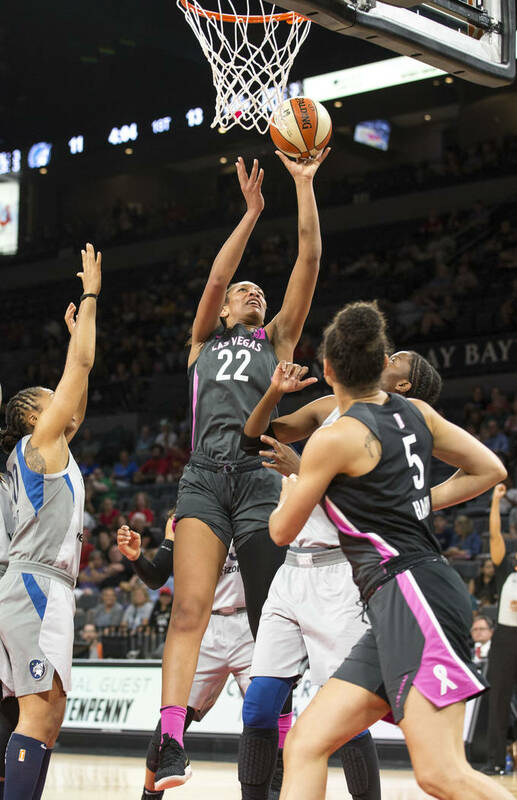 But that was about all they had to celebrate after the Lynx asserted their will in the second and third quarters against a lethargic Las Vegas effort. 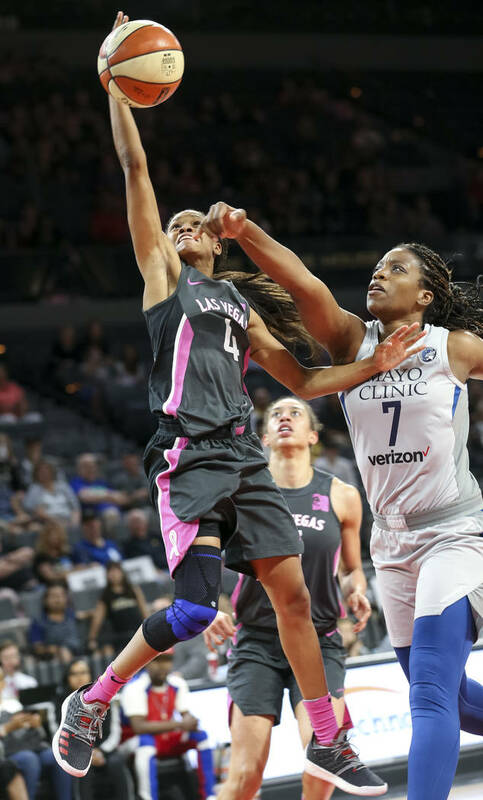 Minnesota wing and 2014 league MVP Maya Moore scored at will in a variety of ways en route to a game-high 34 points. 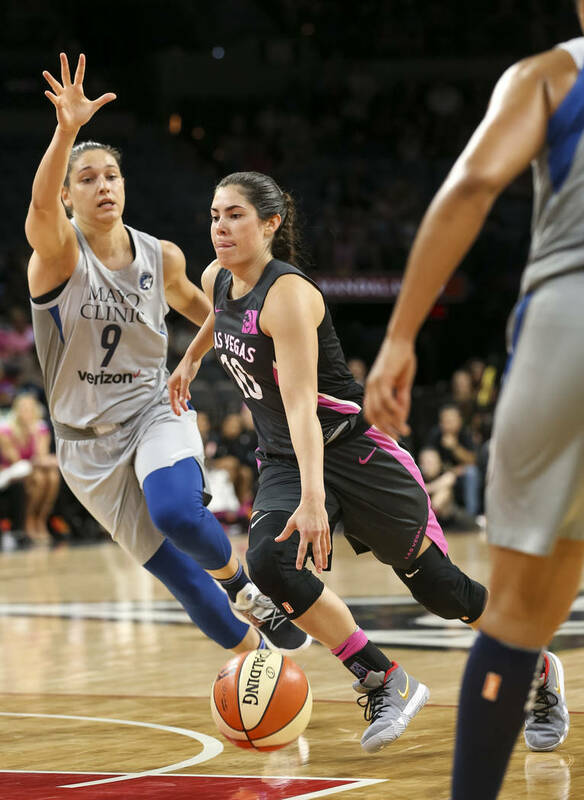 She keyed an 8-0 run in the second quarter and an 11-0 run in the third to help put the game away. 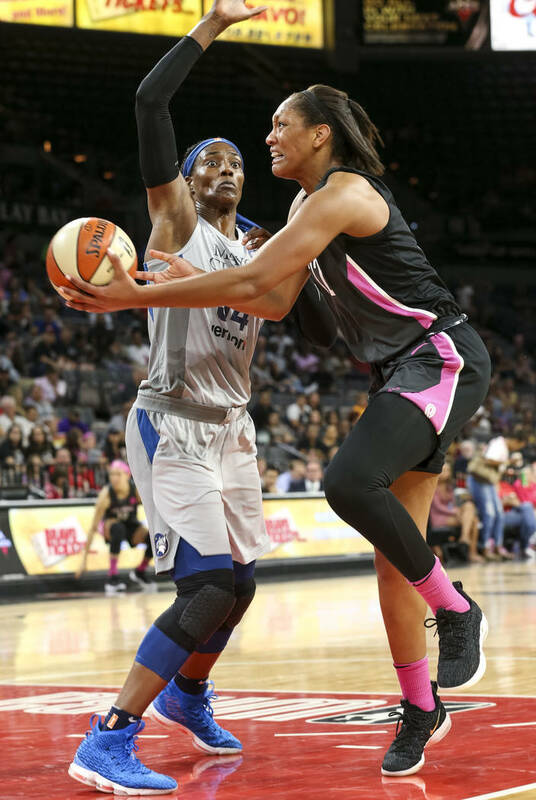 Reigning MVP Sylvia Fowles had 10 points and 19 rebounds. 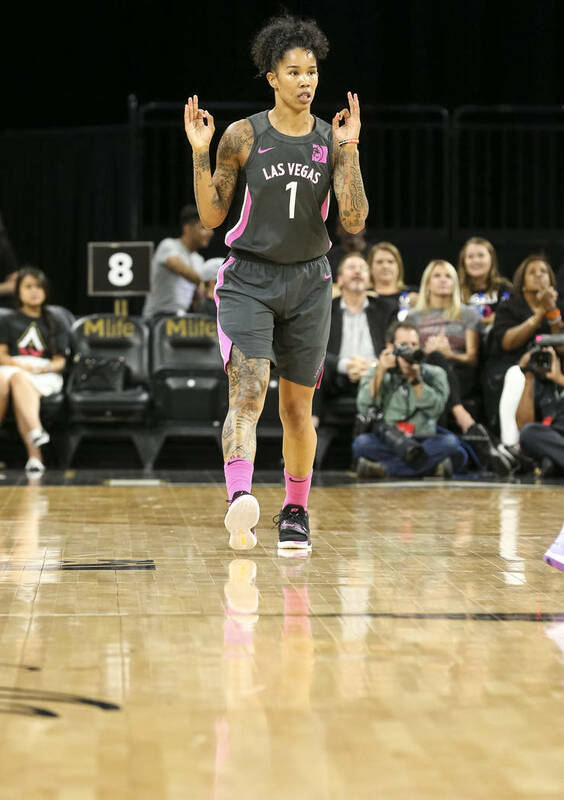 Veteran point guard Tanisha Wright controlled the pace of play for Minnesota (17-13) and finished with 16 points, seven rebounds and six assists. 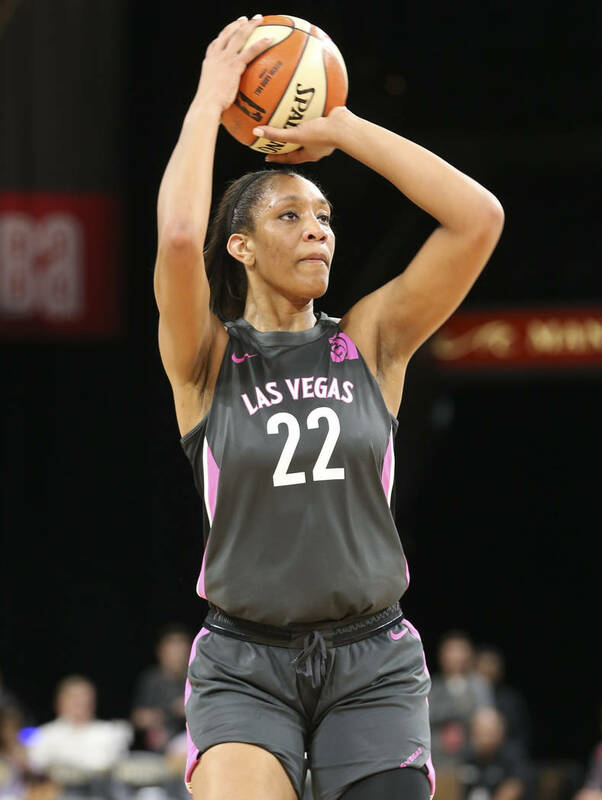 A’ja Wilson led the Aces with 18 points but hit only 4 of 16 shots. Young scored all 16 of her points in the first half. Kayla McBride had scored in double figures in 24 consecutive games, but was held to seven points on 3-of-9 shooting and had a team-high four turnovers. 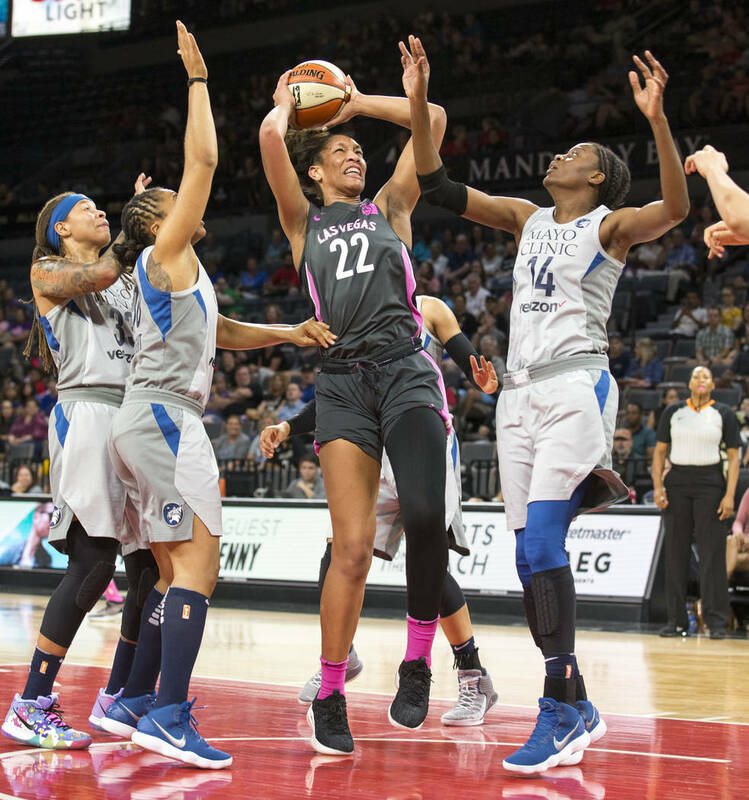 The Aces close the season with home games against the Indiana Fever and New York Liberty, a game at Dallas, then a home game against the Atlanta Dream. The Wings play four of their five final games on the road against playoff teams, giving Las Vegas hope that it still can make the postseason.